how long have they been selling tickets for this? 2 years? the planning of it has been longer, they emailed me to try and big it up years ago. No, just ticketsso not too bad. Was gonna book a camper van also. Only good thing is that i’ll get my money back 🤞🏻If it doesn’t happen. Exactly, no need to stress. Uncertainty is annoying all the same. And worst comes to worst just drive to Bilbao or Madrid and go to whatever fest suits you more. The Catalan Water Agency (ACA) has presented a resolution proposal that denies, for now, the permission for the celebration of the Doctor Music Festival, scheduled from July 11 to 14, in an area between Escalarre, Guingueta d'Àneu and Esterri d'Àneu (Lleida), due to flood risk. As reported by the Department of Territory to Efe, the report considers that the esplanade chosen to celebrate the festival is in danger of flooding and that, therefore, the organization of the festival now has a period of 10 days to send a new proposal. Territory highlights that the area where the festival is planned to develop is an area of influence of the Noguera Pallaresa River and four other tributaries. Also, the stages, tents and camping areas and parking are located near the river, a space in which "you should avoid the accumulation of people" and the same happens in the planned location for the bars and tents, near the river Unarre. If a new proposal has not been sent in ten days, the report will be sent to the Ebro Hydrographic Confederation (CHE), who will determine the viability of the festival. Since the festival they have assured that they will present the necessary allegations so that, finally, the event can be celebrated that already has the confirmation of international artists such as Rosalia or The Chemical Brothers. For their part, the ecologists of Ipcena have celebrated this Friday the emission of the report of the ACA and hope that, after the pertinent studies, the permission to carry out the festival is denied. well at least the ecologists are partying. Too bad, they did put quite nice lineup together. The festival wont be cancelled. If can be moved to a lot of places quite near the original site. That’s the only advantage of organizing a festival in the middle of nowhere. So... no more news as to whether this festival has been moved or who is performing. Surely they have a lot more to add. Come on give me something, I hate the waiting game. is this thing even happening ? Who knows? there not saying much at all. Hard to tell whether that’s a good or bad thing. 5 weeks since the last announcement. I would of thought they would of dropped the full line up by now considering it’s been so long since the last one. It’s either not happening or there massively unprepared. to be honest, i don't think it will be much more. same with mad cool. Still taking people’s money when they don’t have the permits to host the festival. Every day that the Music Music Festival has more complicated to settle in the fields of Escalarre, since the second report that the Catalan Water Agency (ACA) has to send to the Hydrographic Confederation of the Ebro has not yet been completed, as declared to This newspaper sources the second entity. The ACA issued a first negative report for the celebration of the festival because it took place in flood zones and "given the vulnerability of people's safety in the face of possible avenues derived from its location." To that report the promoter of concerts Doctor Music, organizer of the festival, presented allegations, which are the ones that would be currently being evaluated in the ACA in order to send a final report. Sources of the Department of Territory and Sustainability, which is the one who has assumed the issue given its impact, declined to do and referred to an official statement that will be issued "when a decision has been made." The issue is that time passes, and with four months to go before the festival on July 11, 12, 13 and 14, it still does not have the necessary permits, which the ACA itself collected in its first report, is to say, the risks of flooding of the zone, sheltering in some laws and hydrographic norms that did not exist when the festival made its first editions in the fields of the Guingueta, Esterri d'Àneu and Escalarre, 24 years ago. The pessimism about the celebration of the festival is palpable in the area, as indicated by the mayor of Esterri D'Aneu, one of the towns that contributes more land to the festival, Josep Antoni Cervós: "At this moment the information is uncertain and we will know Something in the coming days At the moment, I can bring forward the outrage in the territory in the absence of collaboration from the administration, which has not helped in the processing of permits. " The main burden of the festival is the aforementioned danger of flooding areas, catastrophic if they occur in an area that expects the presence of thousands of attendees. In this sense, Cervós said: "I know that in their allegations the festival raised the relocation of services, since the area of celebration is huge, but I do not know if these variations will be considered sufficient by the ACA." Asked if these allegations the transfer of the festival to another nearby non-flooding area was contemplated, the mayor said no, and Joan Vázquez, president of the IPCENA environmental association, said: "The Hydrographic Confederation will resolve based on the report's meaning. ACA, and given the characteristics of the area, its margin of maneuver to accept the allegations of the promoters of the festival are minimal ". Vázquez accused the promoter of the festival of "arrogance", since "he began selling tickets before having the necessary permits, perhaps trusting that the economic impact in the area would open doors." In the hypothetical case that the ACA varied its opinion to the allegations of Doctor Music and later the Hydrographic Conference of the Ebro endorsed this variation allowing the celebration of the festival, Vázquez reserved the right to undertake all kinds of protest actions to prevent its conclusion . Thus, and in the case more than likely that the reports are negative, the festival is opened two options, cancellation or transfer to another area. This last one seems the most feasible, since Doctor Music has been confirming the performance of new artists, and it would be suicidal to do so without having a new location, probably close to Barcelona. Among the venues that could be considered is the Montmeló circuit. Venue finally moved to Montmeló circuit, lul. If it gets confirmed then it will be only 41 km away from Barcelona Airport which will change everything for this festival. Exactly. Im flying to Barcelona on the Sunday morning for Benicassim festival, so providing they start selling 1 day tickets closer to the time, ill now be able to see the Strokes outside the UK this summer - Lets hope this gets confirmed! The poster of the Doctor Music Festival new names. LUCIANO * EMPIRE OF THE SUN * JOHNNY MARR * KAMASI WASHINGTON * TEXAS * SOPHIE HUNGER * NAHKO AND MEDICINE FOR THE PEOPLE * OBESES * HOLLOW CRY * THE IAIA * STAY * PUTOCHINOMARICON * THEY * THE PETIT OF CAL ERIL * ALÉ D'EUGA * MARITRINI AND SUSSICARIOS. The new location of the Doctor Music Festival will be at the Circuit de Barcelona- Catalunya, Montmeló on July 12, 13 and 14. The inaugural day of Thursday, July 11, is canceled, the performance of Parquet Courts goes to Friday 12 and the Smashing Pumpkins to Sunday 14, being now one of the headliners on Sunday 14. A courtesy worthy of one of the groups The most emblematic of the international scene, according to Billy Corgan himself: "We accept the change and we will play before The Strokes for the good of the Festival and all those who follow us". The return of the Doctor Music Festival was scheduled to be held in Escalarre in the Vall d'Àneu where its first editions took place, but the very unfavorable final report of the ACA, received last Thursday, obliges us to take the festival to a new location that, 4 months after the celebration, it is impossible to reduce the size of this and adjust it to the limitations that are requested of us. In our opinion, there has been a very exaggerated and destructive interpretation of the rules about the theoretical risks of flooding in a valley that has never been flooded in summer (at least since data are conserved), which translates into levels of demand far above the usual, so we have been forced to desist from the original location in order to ensure compliance with the numerous artistic commitments acquired and carry out the celebration of the festival as it is designed for this edition. Thanks to its privileged location in Montmeló - only 32 kilometers from the city of Barcelona and with multiple accesses for vehicles, as well as train station - it is also an enclosure that offers a multitude of amenities for the public that are difficult to find in a great music festival. The assembly of the current edition contemplates a novel and impressive design in line with the latest international avant-gardes; they will be four spaces very different from each other and with their own personality and image. The main stage has a length of 162 meters and is the largest stage ever mounted in a festival or concert in southern Europe, designed by Ray Winkler, head of the famous London studio Stufish Entertaiment Architects www.stufish.com, responsible for stage productions of many tours like The Rolling Stones, U2, Metallica, AC / DC, Madonna, Beyonce & Jay Z, Muse, Pink Floyd ... among many others. The lighting of this special stage will be the responsibility of the prestigious lighting designer Patrick Woodroffe, CEO of Woodroffe Bassett Design www.woodroffebassett.com, designer of the latest AC / DC tours, The Rolling Stones, Adele, Black Sabbath, Ozzy Osbourne , Elton John, Paul Simon and Phil Collins, among others. Special mention should also be given to the Force Field, an open-air stage with specific electronic music programming, of which we will soon announce the complete line-up. It will be something unique and exclusive, with a concept and image specially designed for the occasion. Luciano, Jamie Jones, Âme and Dj Tennis are some of the 23 artists who will fill this innovative space with strength and energy. The current design of the Doctor Music Festival covers 3 days and due to the production facilities of the new venue we offer new subscription prices, which will undoubtedly be good news for the public. * Distribution costs not included. And, in addition, we are pleased to announce an exclusive concert of SOPA DE CABRA in which they will perform their double album "Ben Endins" in full. The tickets already purchased for the festival are still valid for the new location. However, our firm commitment is to fulfill our obligations to all those who have trusted us.  Therefore, we have activated a detailed return policy for those who do not wish to attend the festival on the new site. The buyer may return their tickets or exchange them for others by entering the website of doctormusicfestival.com in the tickets section. For the buyers of 4-day subscriptions: the difference between the price paid for their subscription and the current price of the 3-day subscription (€ 170) will be automatically returned. For the buyers of 2-day subscriptions: the difference between the price paid for their subscription (€ 140) and the current price of the 2-day subscription (€ 120) will be automatically returned. For buyers who do not wish to attend the festival in the new venue: they have a period of 30 days, from April 9 to May 8, to request the refund of the total amount paid for the tickets, including the expenses of distribution. Buyers who made the purchase through another platform and who want to make the refund or exchange of credits, will be asked for the IBAN number of their bank account. For the rest of products that are not fertilizers (camping, glamping, parking, etc), the return will be made automatically without the buyer having to request it. The deadline for requesting returns will be open from April 9 and will be 30 days.